Yeah, that'll happen all right. I'm sure the Sonics are really interested in trading their only legitimate star for a group of 3rd-tier players while in the midst of grabbing some dough for their new and improved stadium. By the way, the Sonics lost again last night to the mighty Hornets. Did I mention that the Hornets' first two point guards were on the sidelines with injuries for most of the game? And that David West and PJ Brown combined for 47 points? Oh, and Kirk Snyder went for 16 points and 12 helpers? I really thought things were going to get better for a while there. Now the wheels have come off and the fat lady is singing. How bad does a team have to play before they just stop making them play games? Having gone to almost every game this year, I don't want to break my trend, so it seems that I will be paying a $25 cover to get into the Fox Sports HD Lounge and drink for 2 1/2 hours until the game is over. That has been my M.O. the last few weeks, and I see no reason why I whould think it will get any better. I can't wait to get my notice to renew my season tickets, it should be in the mail soon! yea team. go sonics. hooray. They're locked into Allen for sure. No one but Isiah is taking him off their hands. Lewis, maybe he needs to be traded. Lewis and D-Fort for Deng and Tim Thomas was suggested by some random on RealGm. I like Deng. He's more well rounded, better defense, more penetration. I "heart" Shelden too. Ray Allen is the only player on the Seattle Supersonics who should not be traded under any circumstance; Allen is a franchise player. How about Flip for George Karl & a pack of Cheetos? Hell, at this point, I'd take Flip for the Cheetos alone. 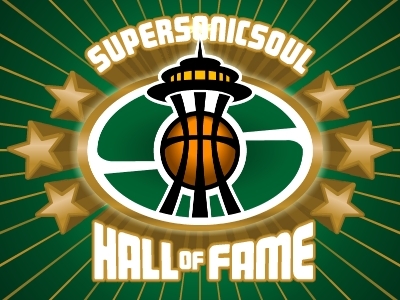 FYI, Kevin Calabro pointed out that the Sonics have the longest streak of All-Star apperances at 13 in a row. One more season like this and its over. A small forward who could play defense would rock. Corey Maggette? He's ripped as hell, and plays pretty damn hard. Sure, he's a headcase, but he's a headcase who'll play some d, or at least try. Plus, he's under contract for 3 more years, and he can penetrate and draw fouls like no other. The Clips would do it, maybe we make em throw in a draft pick. I was all for getting Maggette last season, but with his recent injury, combined with the fact he and Rashard couldn't be on the court at the same time (unless Maggette plays SG, in which case, where does Sugar Ray play?). Who takes Stephen A. Smith seriously? 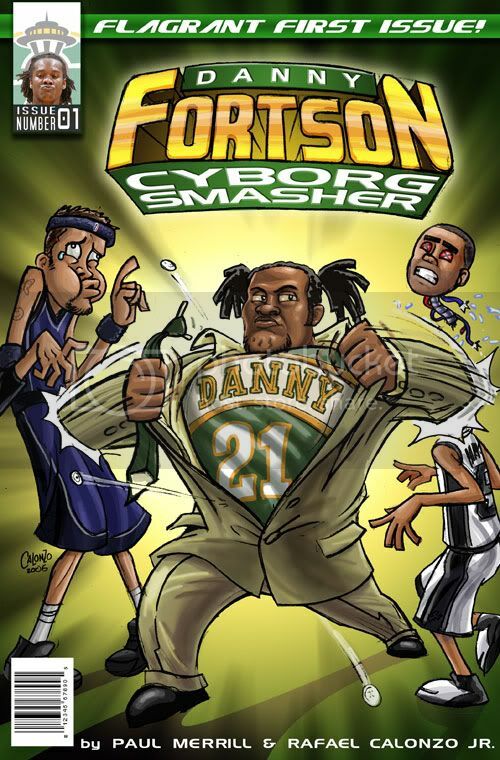 Now that I think about it, we already have Damien Wilkins, and he and Maggette are very simmilar. Wilkins might be able to be a very effective starter if Lewis weren't there. He can get to the rack, and plays good D. Trade Lewis and Fortson for Tim Thomas and that NY pick? If Seattle Supersonics GM Rick Sund can pry small forward Luol Deng from the Chicago Bulls, then acquiring him, Thomas, a 2006 NBA first-round draft pick, and a 2006 NBA first-round draft pick [via the New York Knicks] for Rashard Lewis and Danny Fortson would be a good trade. We don't miss a beat without Lewis. Trade him before it's too late. I know Damien's had a fine couple of games, but I'd like to see him produce for a couple of months before I'm sold on him as a starter. Lest we forget, Flip Murray looked awfully good two years ago when Ray went down. And we all know how that's turned out. Yeah, Damien Wilkins is not starter material; however, he's a decent backup. Yet, with that noted, Rashard Lewis still needs to be traded elsewhere. Come on! His last name's Wilkins! Can the other Wilkins please take this team over. Lenny.